A disturbing thing has happened. My internet connection isn’t working. As the only “phone” I have is Skype and there’s no cell signal in Vinorama, it’s not like I can just pick up the phone to call the local repair person. Not to mention I am that person. Living down here has turned me into a “Jill of All Trades.” I manage properties, construction projects and vacation rentals, provide translation services and install and repair satellite internet systems. Oh and I’ve recently (blush) taken to working in real estate (more on that in some future post). I took a course on how to install internet systems, but learning to fix them when they go down has been more trial by fire. There’s a troubleshooting manual, but I’ve never seen the modem do what it’s doing and it’s the one thing not described in the manual. It’s in moments like these that I become aware of how addicted I am to my connection with the outside world. The thought of not being able to check my email, pick up the Skype phone and call someone, or see what’s happening on Facebook or Twitter gets me surprisingly uptight. Okay, maybe I’m not that surprised. I know I have an addiction to being connected, but is that so unusual considering how physically isolated I am? When the system threatens to fail like this I start thinking about all the work I could get done if I wasn’t reading and writing emails, checking on my homies on Facebook or sending typo-tweets to Alec Baldwin so he can belittle me to his hundreds of thousands of followers (true story). I’m writing right now aren’t I? If the internet was up I’d be on Skype. Instead I’ve edited one piece I wrote last week and written 335 words of this blog post. Make that 343…oh I can see this could become much like a dog chasing it’s tail (357 and counting). I know I’m not the first, nor will I be the last, to ask the question, “Is the internet a boon or a bust to the quality of our lives?” I know in no uncertain terms that it makes my life in the Middle of Nowhere manageable by keeping me connected to the rest of the world. I want to believe that people having cell phones has saved more lives than it’s ended (please let that be true or we are in trouble). But it’s also taking an inordinate amount of time away from things that are arguably more important. Our creativity can be sparked by the internet, but then the time it takes to follow through on the creation is often sucked up by social media. There are only two lights lit on the modem now and it’s been over an hour since the problem began. What happened between 9:45am, when the system was working fine and 10:00am to make it go squirrelly? Perhaps a pelican flew over the dish and deposited a poop so big it’s messing with the signal. That would be in line with how the rest my morning has gone. It’s literally been full of poop. And pee. I came downstairs to two large piles of the stuff in the guest bedroom and a throw rug soaked in pee. Then when I went into the garage to get the necessary cleaning tools, I found a dog bed soaked in so much pee I wonder if it’s salvageable and a pool of urine by the door. Then I found two more puddles of pee in the house. Living with five senior dogs means I’m going through white vinegar by the gallon. So the possibility of excrement being involved in my internet woes seems distinctly possible. Except that my training tells me that if all four lights manage to come on, even if they don’t stay on, the problem lies somewhere other than the dish. If all else fails, I’ll have to drive down the road to the Crossroads Country Club, the local wi-fi enabled restaurant that is about as far from being a country club as could be, to send an email to someone at the internet company who might be able to help. And so I can post this long overdue blog post. P.S. After writing this instead of going to the Crossroads and posting it, I read my current read “The Help” for a while and then remembering that someone once said, “No day is so bad it can’t be fixed with a nap,” I proceeded to nap for the next three hours. I don’t normally take naps because waking up is one of my least favorite things to do, but I’ve been missing out on a lot of sleep lately. Seems it was the right thing to do because when I woke up I was back on line. Phew! Crisis averted. For now. Each person comes into this world with a specific destiny – he has something to fulfill, some message has to be delivered, some work has to be completed. You are not here accidentally – you are here meaningfully. There is a purpose behind you. The whole intends to do something through you. Osho was a 20th century Indian mystic who had a profound impact on the international community, particularly artists and the intelligentsia of the western nations . His teachings were discovered through the highly regarded photographic Dutch-Polish artist Michel Schulc Krzyzanowski, who frequents the region of Baja California Sur where life is lived much of the time. Osho is credited with having a profound influence on the artist’s life, turning it around 180 degrees. Naturally, there was curiosity to know the teacher of the artist who encouraged new thinking and writing. And so the teachings of Osho were sought with his lectures on “Creativity” currently being read. In the hopes that, like the profound photographic artist, the dream of experiencing deep levels of creativity will be realized. The dates on each entry to this blog indicate that it has been quite a long while since writing this blog. There are many reasons for this lack of productivity, but the bottom line is that writing has not been happening in the life of the aspiring writer. To her great dismay. Blame could be laid at the feet of the heat – a summer that was so hot that the brain cells went on strike and the entire body’s energy systems seemed to be failing. Attempts at actions requiring any effort at all were invariably derailed by a sense of impending heat stroke. Followed by a heavy depression resulting from the sense of isolation and inaction, leading further to yet more inaction. Or a preoccupation throughout the period could be presented as cause – what was an overwhelming sense of urgency to know what the purpose of this life is. A sense that the destiny of which Osho spoke has not been realized. A great questioning of the value of any writing that might be done now or in the future. This then, in addition to the heat and the depression, further paralyzed the writer from writing. Consumed by a fear that to think writing is the destiny is arrogant and foolhardy, way beyond the capability. Fear is a poor motivator. During this period, the sense of needing to know what is the “calling in life” became like a nagging voice over which nothing else could be heard. The brain was filled with confusion and doubt and the white noise of wanting to know with certainty that the life would contain some meaning for someone other than the one living it. And then an accomplished astrologer was met, serendipitously, who examined what “planetary aspects” might currently be the cause of the extremely heavy inertia experienced. After some consideration, he stated matter-of-factly, “all of your personal growth results from your love affairs.” Interesting, but not the stuff of destiny, or at least I don’t think so. He then went on to point out that currently Uranus is squaring Uranus in my birthchart and Saturn is messing with all sorts of planets…big stuff, all related to the need to find the purpose in life. Precisely the preoccupation. “You need music…in life, you need music to be balanced.” He explained he didn’t mean there was a need to play music, but that music was needed in the surroundings for personal balance. So, in the days that followed music was incorporated into the listening instead of news. It was noticed immediately that the mood improved. The mood enhancement likely also resulted from knowing that the heavy cloud of uncertainty that was weighing on my soul was not imagined but planetarily, astrologically induced. Full of emptiness? Horrible. As was already stated, precisely the preoccupation, that at the end of life it would be seen to have been empty and void of any real meaning. Worse than horrible. In the days and weeks that followed meeting with the astrologer, a sense was had of turning a corner and the energy spent in finding the purpose in life ratcheted up a notch or two. It was recognized, for the first time without anxiety, that meditation is the only path to the truth that is the purpose of this life. The connection to the open soul induced through the act of meditating creates action with inherent purpose. The writing begins anew, this time filled with a greater sense of purpose and an awareness of the paradox that is life. 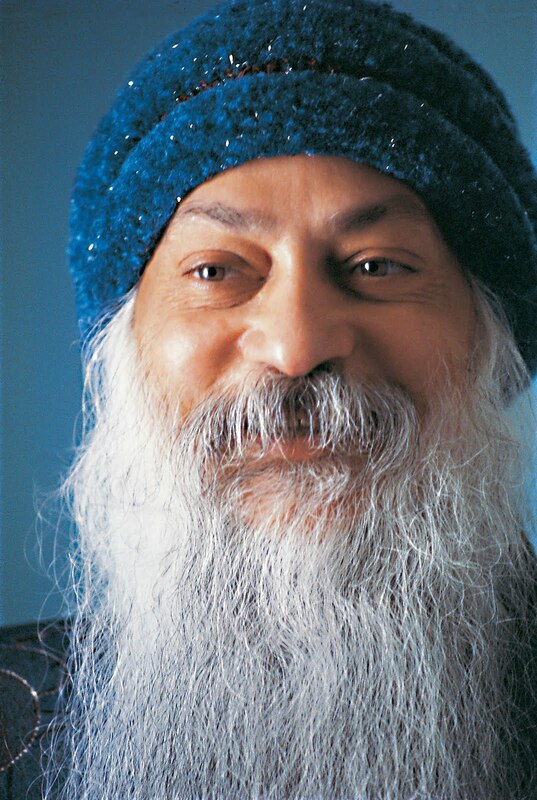 More info on Osho can be found HERE.